(a) Temperatures have risen over the past 100 years by nearly 0.8°C. This rise may seem harmless at first glance, but averaged over the entire Earth, such a trend is rather significant. This number is not representative of “weather” like daily fluctuations where you live, but rather the global mean annual temperature which has been very steady over the Holocene (roughly 10,000 years from the last ice age), and is rather large when compared to global scale, decadal scale variability. Over 70% of the Earth is ocean, and water heats up slower than land, so in fact the “rise in global temperature” may be a bit misleading since you will see more effects on land, where we are. To put this rise it into another perspective, you only need to reduce pre-industrial global temperatures by ~4 C to get an ice age (this much increase is projected by 2100 under business as usual emission scenarios). Over the Holocene, global temperatures have not gone outside a range of + or – one degree C.
(b) The rise in temperature is unequivocal and is demonstrated in a variety ways: the instrumental record, which includes a global network of surface stations, weather balloons in the atmosphere, as well as satellites in space. Declines in snow cover, earlier springs, glacier loss, sea level rise, biological activity, etc are consistent with the warming trend. Arctic sea ice has declined by more than 20 percent since 1979. This year, reports of a record low received big attention in the press. More alarming, is that melt rates and sea level projections for the future are turning out to be underestimated, mainly because of the phenomena of accelerated glacier flow from the outlets of ice sheets, which are not well understood and cannot yet be modeled by scientists. 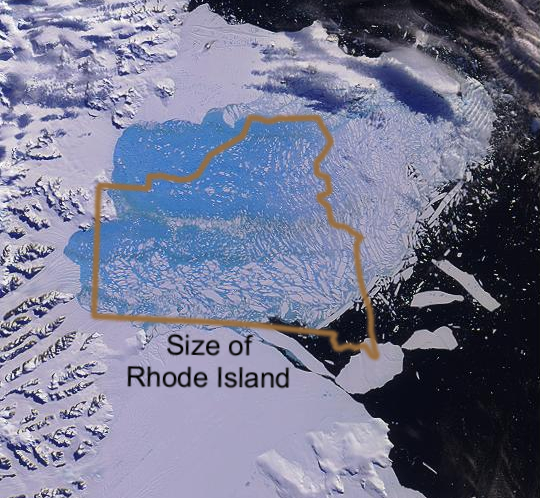 Researchers also found that the break up of the Larsen B ice shelf in 2002 (in Western Antarctica, a chuck of ice about the size of Rhode Island) led to a significant acceleration of glaciers flowing into the Weddell Sea. Glaciers flowing into the Amundsen Sea have also sped up considerably during the last decade (on the other side of West Antarctica). In East Antarctica, there is probably a bit more accumulation than ablation right now because of more precipitation that you get in a warmer climate, as wel las regional effects such as ozone depletion and circulation patterns. (d) Estimates for the 20th century show that global average sea level rose at a rate of about 1.7 mm per year, and trends are accelerating (~3 mm per year since 1993). Current projections out to 2100 from IPCC, 2007 and others are also not taking into account accelerated glacier flow mentioned above. This poses problems especially for people and infrastructure on coasal areas and low-level islands. The Greenland ice sheet, and West Antarctica have enough ice on land to raise global sea levels 23 feet each. East Antarctica is by far the largest, and if that were added, sea level would rise 200 feet. This cannot happen in decades, and East Antarctica will not melt in the scenarios we are discussing, but West Antarctica and Greenland could possibly melt on timescales of centuries. 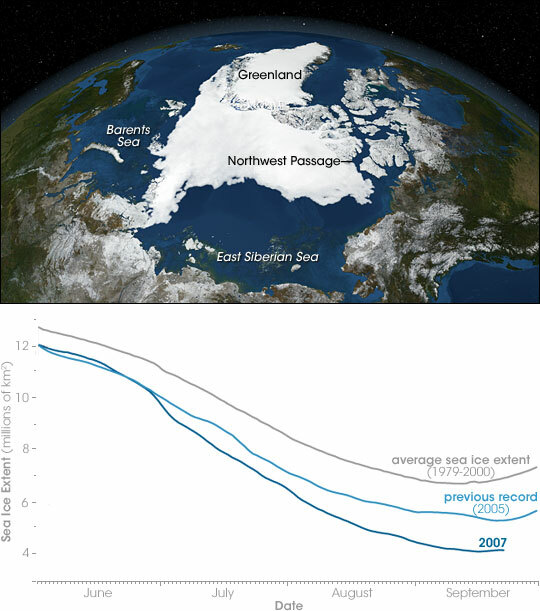 The Greenand sea ice cannot directly raise sea level (because it is already in the ocean), however, it does become important for atmospheric circulation, as well as the influence on the planet’s albedo (that is, ice reflects more sunlight than ocean, so less sea ice means more solar absorption by the oceans). Several factors can cause a climate change on scales of longer than a few years, notably a change in incoming or outgoing radiation, or a change in albedo of the planet. There are several natural ways this can be done, such as increases in solar irradiance, volcanic particles in the atmosphere, changes in plate tectonics on ong term scales, etc. There are also ways humans can contribute by altering the radiative balance at the top-of-atmosphere (such as adding infrared-absorbing gases which delay the escape of outgoing heat to space), by changing the albedo via deforestation and other land-use activities, and by anthropogenic sources of aerosols. Biology in general has the capability to alter climate, such as the big “oxygen revolution” when plants decided to make the atmosphere-ocean system toxic for anaerobic life. (f) The Earth currently has a greenhouse effect absorbing ~150 W/m^2 in our atmosphere (with clouds), with an energy balance (shortwave radiation in equaling longwave out) of ~240 W/m^2 at the top-of-atmosphere. CO2 contributes roughly one third of the greenhouse effect (in terms of IR absorption at the relevant areas for Earthike temperatures). The greenhouse effect itself keeps the planet ~33 K warmer (to support life) than it would be with no atmosphere. 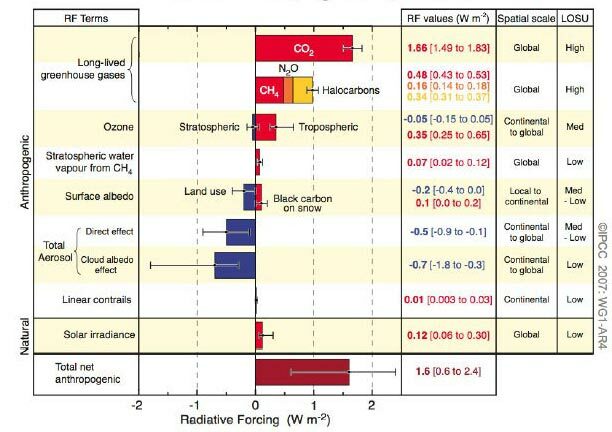 Changes in CO2 will alter this radiative balance (on the “going out” side of the equation). Energy comes from the sun in the form of solar radiation (on the visible part of the light spectrum) which is not absorbed by Greenhouse Gases, but is released from the surface back to space in the form of Infrared radiation, which is absorbed by Greenhouse Gases. Greenhouse Gases, therefore, do not block energy coming in, but they absorb some of it going out. This “blanket” of Greenhouse Gases delays the return of long-wave radiation back to space and further heats the surface. The imbalance created is our radiative forcing (with a positive forcing contributing to warming, negative to cooling). The total forcing from the trace greenhouse gases is currently ~2.5 W/m-2, and the net forcing is ~1.6 W/m-2 since the pre-industrial time (negative forcings with aerosol impacts included). A radiative forcing is not the same as the additional infrared radiation absorbed, since you must account for feedbacks (such as changes in water vapor) that will come with a “forcing” on the climate system. 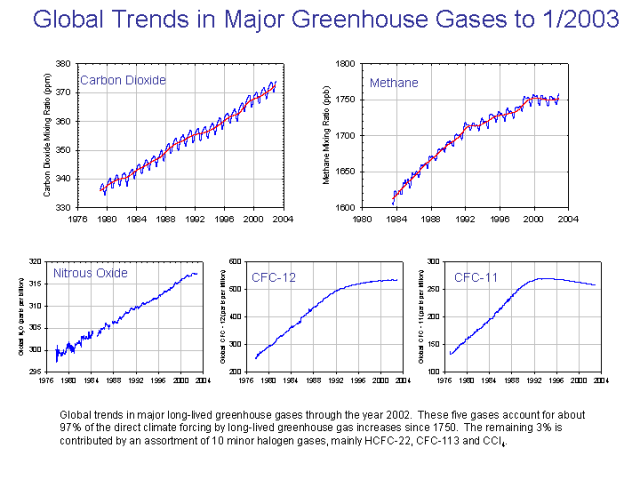 For more on Earth’s radiative balance and the impact of greenhouse gases, see my set of posts here, Part 2, and Part 3. (h) The “extra” CO2 in the atmosphere (around 100 ppmv from pre-industrial value) is surely from human sources. For one thing, no feedback mechanism or explanatory trend in any activityl ike volcanoes can come close to explaining the rapid rise, and rate of rise of CO2 emissions. Additional evidence that humans are responsible for increased CO2 is through carbon isotopes; a useful carbon isotope for determining the contribution of fossil fuels to atmospheric CO2 is radioactive C-14. Fossil fuels have very little C-14, since it has a half-life of 5,730 years and fossil fuels have been in the ground for millions of years. A decline in C-14 was first described by Hans Suess who first analyzed the C-14 content of wood. The reduced atmospheric C-14 as a consequence of fossil-fuel burning (now known as the Suess Effect), is not incredibly meaningful but is a clear “fingerprint” that the CO2 rise is ours. Later work has come to similar conclusions. Other trends exist such as a decline in C-13 compared to C-12 (since plants prefer C-12). Slight atmospheric oxygen decreases (as predicted by the combustion process) have also occurred. (i) The increase in ocean heat content, as well as the radiative imbalance in the atmosphere (i.e. more solar coming than infrared going out), and timescales of forcing show that internal variability (like ocean circulation shifts) are not responsible for the observed warming, but rather an “external” forcing on the climate system. Internal variability, therefore, does not have explanatory power in suggesting what may be responsible for the warming over the last 100 years. Since about 1950, there has been no secular trend in solar variability, and for later parts of the 20th century there has actually been slight decreases. Combined with data from volcanoes, ozone and aerosol trends, etc, since 1950 anthropogenic CO2 has provided the dominant forcing mechanism behind the observed increased CO2. The rapid warming observed, and the climate response, is consistent with the scientific understanding of how the climate should respond to an increase in greenhouse gases, and the warming is inconsistent with the scientific understanding of how the climate should respond to natural factors such as solar variability, volcanic activity, etc. For example, a model of increased solar irradiance would have the stratosphere and troposphere warming (these are layers in the atmosphere), whereas a model of increased concentrations, and the effects of greenhouse gases would predict warming from the surface to troposphere, and cooling in the upper portions of the atmosphere (e.g. stratosphere) because you are keeping heat down and reducing infrared heating above. Observations show a consistent relationship, with strong warming at the troposphere and surface, and cooling in the upper regions of the atmosphere. In addition, we have also had a faster increase in the rate of night temperature warming, than day time, which is consistent with the greenhouse model but not increased solar variability. I mentioned earlier that climate science can be like detective work. Generally when you find a blonde-hair sample of a suspect at the crime, the black-haired suspect would get a bit less of a glance. When a DNA analysis is done proving the samples to be different, that increases the confidence that he is innocent. When multiple people testify that he was at his beach house 200 miles away at the time of the crime, he can be ruled out. When we monitor the sun, and there is no change, when the climate response is inconsistent with what it should be given a predominant solar forcing, then it just won’t work in science. (k) There has been an enormous amount of work in paleoclimatic study seeking CO2-temperature relations in the past. Work has been done from timescales of the last few hundred years, to the ice ages, to ancient climates while the dinosaurs roamed the world, and before that. There has been a significant relationship between CO2 and temperature, and obviously there are other factors so you can get cooling if CO2 is high (say, if the sun dims), or if aerosol concentrations rise dramatically (the 1940-1970 cooling trend observed on the first graphs), but CO2 produces a strong warming effect, and this relationship is seen now and in the past. This has repeatedly demonstrated to hold strong predictive and explanatory power, and the confidence is now very high there is a strong, detectable anthropogenic signal in today’s warming trend. Ammann, Caspar; et al. (2007). “Solar influence on climate during the past millennium: Results from ransient simulations with the NCAR Climate Simulation Model” . Proceedings of the National Academy of Sciences of the United States of America 104 (10): 3713–3718. Ciais et al. 1995, A Large Northern Hemisphere Terrestrial CO2 Sink Indicated by the 13C/12C Ratio of atmospheric CO2, Science, Vol 269, pp. 1098-1102. Kiehl, J. T.; Kevin E. Trenberth (1997). “Earth’s Annual Global Mean Energy Budget“. Bulletin of the American Meteorological Society 78 (2): 197-208. Suess, H.E., “Secular variations of the cosmic-ray produced carbon-14 in the atmosphere and their interpretations,” Journal of Geophysical Research, 1965, V. 70, p. 5937-5952. Graphs- I credit http://www.globalwarmingart.com , http://pewclimate.com , NASA Earth Observatory page, IPCC 2007, and Mauno Loa observatory data, and references within, for the above. The chart on “forcing times” is mine. This entry was posted in scientific basis and tagged anthropogenic, climate, climate change, evidence, scientific basis. Bookmark the permalink. global warming advocates love to present graphs and charts with data from about the 1880s onward. the problem with this is that it ignores the fact that science shows the earth had just gotten out of what was known as the little ice age, which was preceded by the medieval warm period, and so the cycle continued even before that. no one is denying that the earth has warmed in the last century. it has. but science shows that the earth warms and cools in cycles throughout history. this is not even the warmest the earth has ever been. the amount of greenhouse gasses produced per year are a small fraction of one percent of the total atmosphere of earth. it is absolutely ridiculous to assert that this has a catastrophic effect on global temperatures. Oh how you alarmists love to publish pictures of, for example, the Larson B ice shelf and its breaking. That’s why Al Gore used it, so you’re not alone in the selection. Regardless, I’d love to hear why you use pictures like that as proof of AGW at the poles when, in fact, 97% of Antarctica is cooling and you know it. Next you’ll be putting up graphics of drowning polar bears (despite latest estimates of the population thriving throughout the Arctic despite, as the Telegraph calls it, unprecedented human-contributed warming). The 97% number is wrong. Antarctica shows a general warming trend over the last half a century, in fact. Restricted to the last couple of decades, there is some cooling in some interior sites. There is also a bit of accumulation in the interior of East Greenland which we addressed in the comment on “a glacier perspective.” Trends aloft show warming . Also, trends in ENSO, SAM, ozone depletion and such regional phenomenon are helping a bit as well with some cooling sites, and current GCM’s predict such trends over the short term. If you could reference a “pro global warming” prediction that has the whole of Antarctica significantly going up anytime soon, that would be appreciated. Although skeptics have jumped on this idea that a few sites in Antarctica that are cooling disprove global warming (or somehow, just anthropogenic global warming) it really is irrelevant. 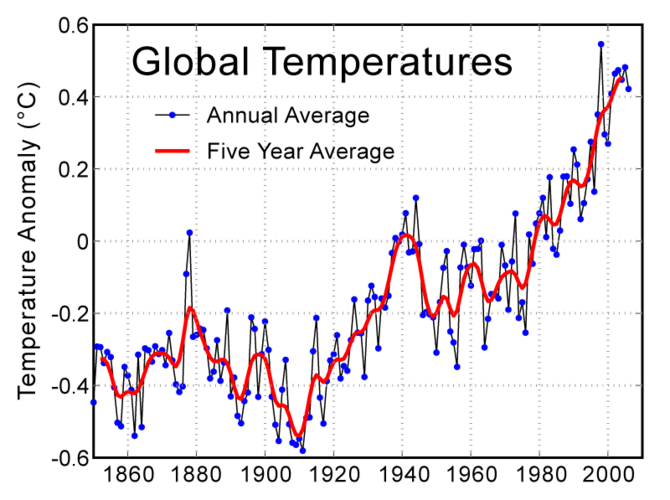 Global warming so far, in round numbers, is one degree. This is large on global-scale, decadal-scale variability but is not large on small scales in time and space. So it is virtually certain that there will be places that cool, are are not (yet) anomalously warm, or record warm, or what have you. Even if your facts were straight, this is just a smoke screen. Furthermore, statements of unprecedented carbon in the atmosphere are good and fine, but its undeniable from temperature proxies that the Earth has been warmer than it is now (before then plunging into cold) multiple times in the past (including during interglacial periods like the Medieval warming). Using grape vineyards throughout Europe as a reliable temperature proxy, it is clear that as recently as 900-1300 AD, the world was significantly warmer than it is now. Link carbon to the unprecedented warming you present and I’ll understand you more, but the IPCC’s estimate of heating by 2100 is ridiculous, unscientific, and really reflects the environmental activist makeup of the panel. It certainly has been warmer, but not during the Holocene. Relating extinctions in the past also does not give much comfort to the idea that “it was warmer before, so we’re fine now.” Go back to the Eocene and see how it feels. Heck, it was warmer 4 billion years ago during early Earth as well, but this really doesn’t address what the ecological and socio-economic effects of a climate change will be today, nor does it address what the causes are. Addressing the temperature change, but not the cause, isn’t exactly how *attribution* works. Next, you are right about the importance of historical records where available, though I’m not sure vineyards a perfect temperature proxy. But, whatever… Vineyards are good proxies, and the vineyards are doing quite well today as well, like english wine producers and winelands of britain and in fact are a bit more widespread today. You should check out the free, online book by the National Academies at http://www.nap.edu/catalog.php?record_id=11676 for other proxies as well, as well as what the data shows about climate in medieval times . In short, the “vineyard proxies” as well as earlier paleoclimate work is confined to Europe, which as far as we can tell was about as warm as today, into Greenland and parts of Asia. 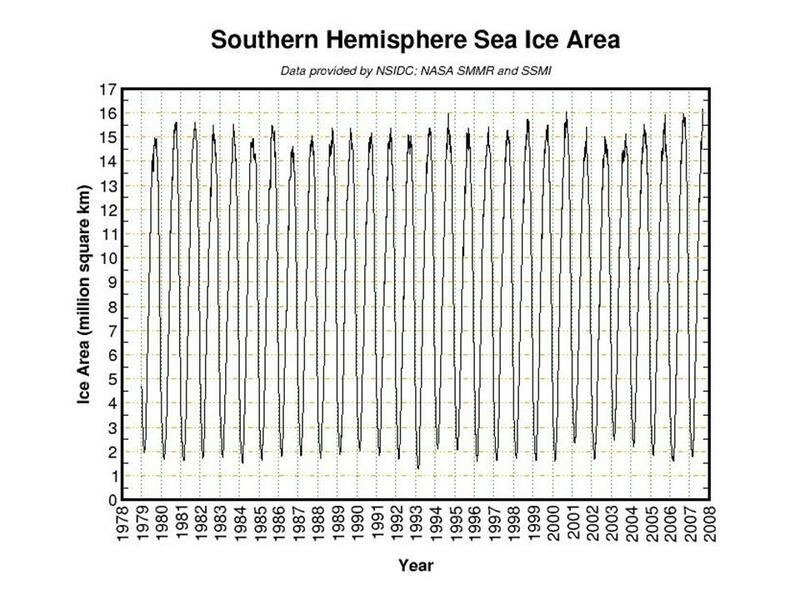 Go down to the tropics, Antarctica (Since by your logic Antarctica represents the globe), southern hemisphere, and other parts of the northern hemisphere and a MWP disappears, though within the high ends of the error bars, so probably about what temps were mid-century. I love that you try to break down the solar irradiance link to the Dansgaard-Oeschger event by saying “Well look at these 50 years! It doesn’t match up!” In fact, a combination of two solar events on the order of several hundred years and 70 or so coincide at precisely the time that several of the temperatures observed through proxies in Greenland bottomed out. Obviously, it’s not just the solar events, but the idea that so many real scientists put forth, that you can’t pick and choose data points, is lost on you. Response- I am not sure what today has to do with D-O events, nor did I claim that solar variability was not strongly influential in the past (or orbital variations of thousand-of-year timescales). I claimed that solar variability is negligible since about 1950 and that greenhouse gases overwhelm solar variability *since mid-century* by a factor of at least 10. Looking at timescales of the last 150 years for attribution of climate change, I’d say what happens (or doesn’t happen) over the last 50 years is pretty meaningful, but the sun being the dominant factor for today’s warming has been tested and tested and is documented in plenty of literature (see the few in my references), and fails before it even shows up to the scene. Today has lots to do with Dansgaard-Oeschger events if you, like an increasing number of scientists, point to the cycle as the most likely cause of observed global warming. It’s that quote there that I call you a liar about (though not liar in the manipulative way as much as the ignorant way). A multitude of studies have linked solar events to phases of the D-O cycle, which you are unable to explain. Furthermore, these same events (including warming that is faster than the warming of today and the cooling that follows) has been very convincingly linked to solar variability with the effects of the solar wind on cosmic radiation a likely explanation. You make lots of statements, but don’t really back them up (kinda like the IPCC). Response- If there is a 1500-year cycle over the Holocene, the cycle is very weak, and is not really detectable. There is a lot of debate on the reality of a cycle now, or even if a true cycle even exists (as opposed to say, a preferred spacing). Not that it would explain our current magnitude of warming, on a global scale anyway. Despite a lot of study, there is still a lot to learn about these, and no consensus has emerged on a possible-yet-unproved (although a possibly very weak) signal. Because the Holocene has been so stable, and such a signal would be very weak, it seems implausible that it would suddenly swamp the changes expected from humans, and the signal it carried before the Holocene. The idea points to new scientific topics, and new physics (which is always exciting), but for prediction or explanatory power, I wouldn’t rely on it (and really doesn’t hold up). We also would not know where we were in the cycle, or even the sign (which way should we be going). This also doesn’t address the CO2 physics which would still apply regardless of what D-O events are doing (or the sun). You can’t just “replace” CO2 with whatever you feel like, you need to add everything going on into a total forcing. You seem to be quite bent on getting more out of the sun than is now possible, but even if you do so you need to add that on top of the physics we know about CO2, not just decide CO2 no longer applies so we can get rid of it. The only correct way to look at radiative forcings is to add them up. Also, D-O events do not give the same kind of climatic response that externally input CO2 does. Read my post on increased ocean heat content, TOA radiative imbalance, strat cooling, etc. I would search out the works of Broeker or Richard Alley who are leading players in the D-O events, neither of which would agree with you- in fact, I’m not aware of anything except a book by Fred Singer on it, which is a good science fiction read. Next, I gave 4 references (not involving IPCC which you clearly haven’t read) in my post showing that solar variability or cosmic-rays has not changed in any significant fashion, and the observed trends are inconsistent with solar forcing- in real science that would be enough, but not for the skeptic disinformation system (unless you can show how they have been getting it wrong). I am familar with the works of Shaviv, Svensmark, and associated company who have manipulated evidence to show a “correlation” with cosmic ray and temp (see Damon and Laut’s paper on “Pattern of Strange Errors Plagues Solar Activity and Terrestrial Climate Data.”). See posts here as well. Sorry, but unless there is a physical link and strong explanatory and predictive power, no one is going to take this serious. “The cycle” is not very meaningful. … so much for consensus. Chris – First, let me say that this blog is a valuable addition to the topic of climate change, and your grasp of the issue is an important asset. Much relevant material is covered. So far, my main concern would be the danger of an excessive focus on whether or not anthropogenic global warming is a reality. If this becomes a major issue here, it would suggest that AGW is scientifically controversial, whereas it is not (based on many of the reasons you cite). Clearly, there is a great deal more science to be done to refine our knowledge of climate change, but the real world of both science and the outside community has gone past arguing about the basic principles of AGW and is now engaged in intense discussion of remediaton options. It is these debates, and not debates about the reality of AGW, that will affect what actually happens in the arena of policy. If we hope to influence policy, we need well informed opinions on all the remediation options, even as we discuss the details of climate science. Nice article, and your patience with Mr/Ms Dima was very commendable. His posting quotes from the infamous Inhofe 400 “prominent scientists” (most without any climate experience) when you asked for legitimate scientific references shows the lack of credibility of the “skeptics”. I’m adding your blog to my regular reading. I don’t know why it takes so many words and so many links when the reasoning is so simple. The AGW cultists position is this. A. The temperature is rising. B. The temperature rise is unprecedented in the last 1000 years. C. CO2 causes temperature rise. D. Man made CO2 must be responsible for the current unprecedented temperature rise because – well, what else could it be. Regarding A, the anser is – so what! 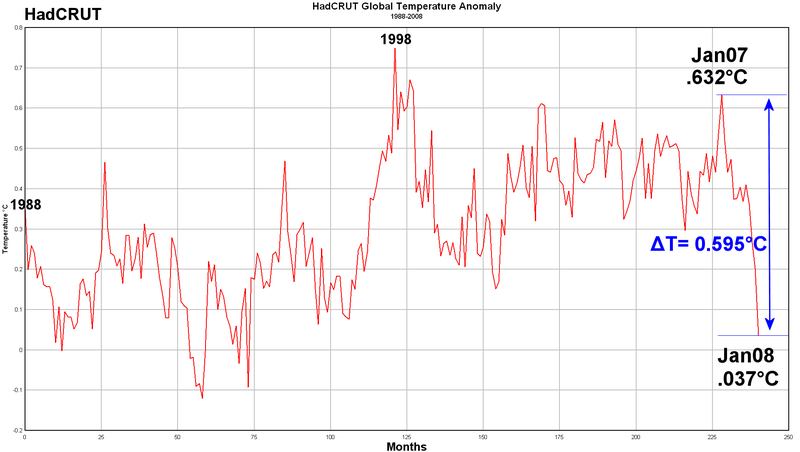 Climactic temperature has risen and fallen for the entire history of the earth. Regarding B, the anser is that the reconstructions that show today’s climate to be unprecedented are fraudulent. And all of these hundered of studies rely on the fraudulent reconstructins as a part of their attribution. First, there are only a handful of studies that show today’s temps to be unprecedednted, and they all rely on the same faulty data sets. Most of these reconstructions are done by M. Mann, his students, and his associates. Most of them rely directly on proxy data that has been show to have virtually no temperature information at all because the proxies were primarily moisture limited as opposed to temperature limited. The hockey team all relied on bristlecome tree ring series produced by Graybill. And these series were more heavily weighed than any other proxies. But more recent and complete bristlecone series from the same locations show that not only do the bristlecones erase the medival warming period and the little ice age, but they also erase contemporary warming. In other words, the hockey teams most heavily relied upon proxy is useless. Then we also have temperature reconstructions by a multitude of other people that clearly show that 20th Century climate is not unprecedented. People like Moberg et al, Loehle and McCullough, Grudd et al, etc. have shown that the MWP was as warm or warmer than today. Of course there is no reason to limit ourselves to the last 1000 years when determining temperature “normality”. Within the last 10,000 years we have also has the Holocene optimum which was clearly warmer than today. So unfortunately, argument B is a fraud. The claim that CO2 causes temperature rise may have some truth to it, but probably far less that the AGW cultists claim. First of all, sudies of climate sensitivity show a range of results that go from .2C to 9C per CO2 doubling. In other words, we have no clue at what climate sensitivity is and no one is able to provide a definitive proof for their answer. When you compare the level of temperature increase with the level of CO2 increase that has so far been experienced, you have to conclude that CO2 sensitivity is very low. Of course the warmers then remove things to one more level of abstraction and claim that it’s all built into the oceans. This is just so much handwaving that they are unable to prove. As always, their only response is “Oh, you will see that we are right in the future.” But so far, the ability of their models to predict the future has been absolutely dismal. As far as issue D is concerned, if B is not true, then there is no need for that kind of conclusion at all. Oh, I forgot to mention the contemporary surface temperature record. Here we have 2 sources, HadCrut and GISS. Watt has shown that as much as half of the 20th century temperature rise from these sources may also be fraudulent. But even if it is not, there is nothing unprecedented about 20th century warming. Do they explain why Linah Ababnehs bristlecone series taken from the same locations as Garybills show that bristlecones contain virtually no temperature data? Do they explain why Moberg, Grudd, and Loehle all have temperature reconstructions that differ dramatically from that which Mann put together – temperature reconstructions that show that the MWP was as warm or warmer than today? Do they give a number for climate sensitivity that they can actually prove? Do they explain why GISS adjusts temperature data from the past down in order to get a greater temperature slope? Or are these books more of the same handwaving that I can get any day from Realclimate? So your only response to the issues that I brought up is to say “go read the literature.” the And of course “the literature” doesn’t answer any of those questions. Lame. Nor does a link to Wiki, whose climate editior is a member of the hockey team and a contributor to Realclimate, answer any issues. The IPCC typically ignores any material that contradicts it’s agenda. The so called “peer reviewed and published in main stream journals” test seems to also be worthless, as Mann’s hockey stick passed both of those tests, but was nevertheless a piece of worthless garbage. And it took people outside the Climate dicipline to expose his errors. I’m not interested in reading any of your references, because I’ve read enough of that kind of material to know all of the inane arguments by heart. I could give you material to read also, but I’m sure that you will reject such a suggestion. For example, I could suggest that you read Linah Ababneh’s doctoral dissertation – but I doubt that you will. As far as taking it somewhere else goes, of course I will. People like you are always interested in singing only to the choir because you simply don’t have the facts to support your fiction. Response– Yes, I would “read the literature” and a bit less time at McIntrye’s blog. The Gulledge testimony or this paper would also be good starts if you’re just interested in the MWP and conspiracies against Mann and paleoclimatology, and not today’s trend. I can’t do people’s homework for them, so until you at least understand the relevancy between the MWP and the attribution of today’s warming, there is no need for further correspondence. Really, the hockey stick is like decade-old news, and everyone else has moved on to much more interesting things. And if the source is one you don’t like (ex. IPCC, NAS, GISS) it is probably one you should start off with, since your views on them are probably based on reading too many wingnut sites. I know that Ch. 4 and Inhofe’s play area and McIntryes audit center is a convenient one-stop rebuttal to 100+ years of physics, but as a suggestion, some of the standard textbooks on the matter would be more worth your while. There is a reason this kind of stuff is not published in reputable, academic journals. I noticed that you like to use melting ice caps as proof as GW. Ice caps melt wether the warming is natural or anthropogenic. Antarctica is huge and West Antarctic is only a small portion by comparison. In whole, Antarctica has reached record high total ice extent since 1979. About what the literature says, this is nonsense. It is not very difficult for people to go through the abstracts of Science, Nature, Journal of Climate, GRL, JGR, etc and see that AGW is just as accepted as anything else. I suppose I will never hear the end of our economist friends, and the continuous swarm of claims that have no statsitical or climatological foundation to date, and have nothing to do with the scientific basis for modern global climate chang, which is what this thread is about. 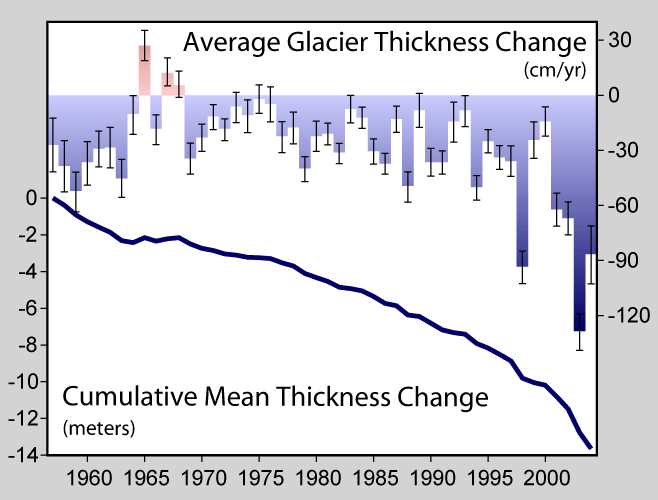 The so-called “hockey-stick controversy” is actually not a controversy, scientifically. 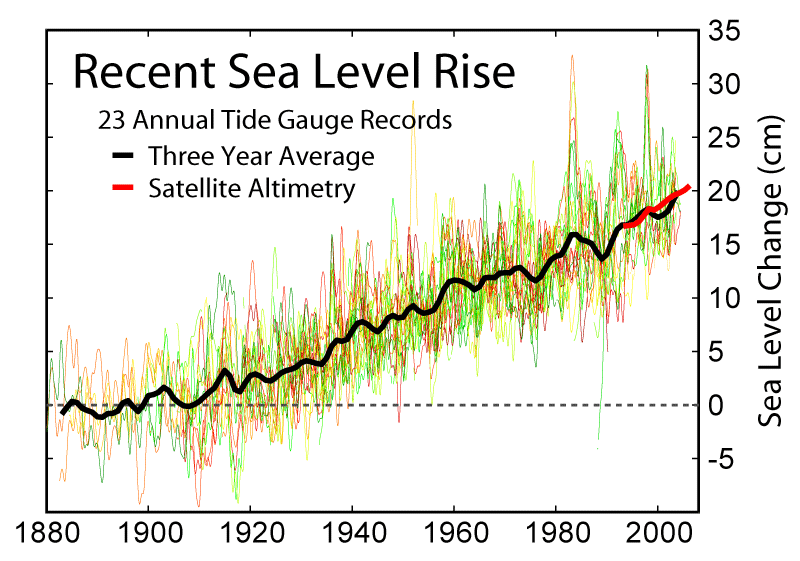 Criticisms of the “hockey stick” do not undermine the science of climate change or the MWP science. There is an enormous amount you can read on which demosntrate the absurdity of M and M and their rebuttal of the hockey stick. The hockey stick pattern emerges using either the MM or MBH98 Principal Component Analysis conventions (PCA is a procedure where a spatiotemporal data set is decomposed into its leading patterns in both time and space. PC’s contain smaller number of objectively determined variables and contain as much key information as possible from the proxies), but was censored by MM through an inappropriate application of selection rules for determining the number of Principal Component. McIntrye and McItrick took out a good deal of proxies before AD 1600 when determining the dfiference in the MWP vs. the Mann et al. conclusion, and is invalid on the basis of that. Even if each individual tree-ring series is used as an individal proxy, the results do not change. The claims that the corrigendum by Mann et al affected the reconstruction are false. Wahl & Ammann rejected MM’s objection about the bristlecone/foxtail pines on grounds they did not affect reconstruction and were a valid and necessary part. Corrected reconstructions support the conclusions that late 20th century warmth is unique relative to the last millennium (see the Gulledge testimony linked above). The objections raised by MM05 have been further discredited by Rutherford 2005 (pg 13-14 for example). It is shown that MM exclude 77 of the 95 proxy series used by Mann et al. (1998) prior to AD 1500. The Mann et al piece is also not of much sigificance, as Moberg et al., Esper et al, Oerlemeans, and many other studies support the conclusions of Mann et al. This is important, as the hockey stick, or our understanding of the past 1,000 years is not strictly dependent on Mann et al., but many other papers which show the same thing. The NAS report goes over all of this, and unequiovocally discusses the up-to-date science and paleo reconstructions. By the way, I put an “H” at the end of your name to distinguish you from the other Steven that posts here. How’s the MM critique silly? Even your NAS debunks the hockey stick. It completely eliminated the MWP and the LIA and shows an unexpected rise during the 20th century. You yourself have mentioned that there have been much warmer temperatures than the 20th century and therefore it’s not uniquely warm. There has been no conclusion that Co2 is the main driver of climate change, if anything, the majority of recent peer-reviewed study are neutral on the subject and refuse to take neither side of the debate. Oreskes data is now outdated. About the figure “Trends in Atmospheric CO2 and Global Surface Temperature”, while I am sure it is factually correct, it can easily be misunderstood. It shows the glacial-interglacial variations in CO2 and temperature together with recent increases in CO2. 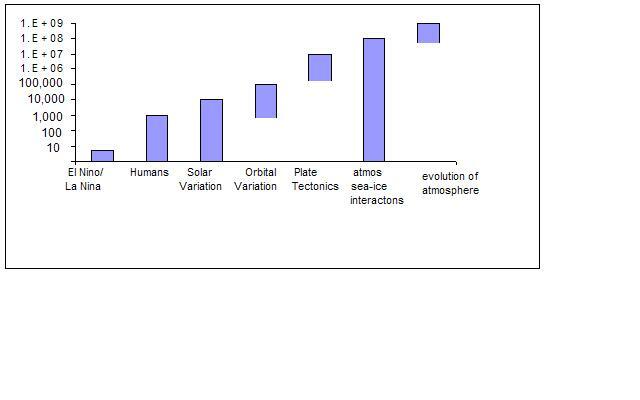 The correspondence between the left and right scales is only valid for the glacial/interglacial situation, but one is easily tempted to read the orange curve also from the left scale, giving an absurd value of 20 deg C for the ongoing antropogenic global warming. as it expresses this difference: the blue point cloud depicts glacial/interglacial variations, the modern global warming is drawn separately. Explaining the difference — mechanism, coefficient and what causes what — has always been a bit of a chore; this picture does a great job. I am very much confused about the necessity to continue to discuss Mann et al. and the medieval warm period. So what? As the author notes, it is not a relevant factor when discussing the enhanced greenhouse effect, and so is just a distraction. Suppose the medieval times were colder, as warm as, or warmer than today? How does that change the fact that humans have substantially altered the climate today by changing the chemistry of the atmosphere. The medieval warmth has nothing to do with showing us the causes of today. I am glad the author responded to the rather childlike objections, but as Fred notes, it should not create any impression that this is somehow a threat to climate change theory. These kind of summaries are necessary indeed to be able to point people to if they just don’t get the basics. But even then, they often don’t want to get it. But many others do, and for them, this is a great resource. Also, thanks for the basics. just write a book. start 1990 – stopp 2160, needet to create a climate frame so i looked for 1 month in the internet, where is the discussion, what is true? wanted to see both sides. i Think the scientivic community is quite united one the subject. You used the famous Vostok data plot. Here is the conundrum from my perspective: you claim that the complete paleoclimatological record is captured in the ice core samples, but in the same breath you say that the current trend in global warming is melting the polar ice caps. You’ll probably claim that the location of Vostok precludes any lost records due to ice melt, but I maintain that at a certain point, the global mean temperature rise of the earth prevents snowpack sublimation. I’ve discussed this with Richard Alley (part of the GISP expeditions) who acknowledges the presence of ‘melt zones’ in his core records from Greenland. What if we don’t have the complete climatological record? How can we rely on ice as a data repository when it’s unstable and doesn’t fully correlate with other climatological records such as sea floor cores and other geological records? Response– Vostok is the best long term, well-resolved ice core in the world and provides a yardstick for other paleoclimate comparisions but I never noted it was perfect, though it certainly captures long-term climatic phenomena very well (there is no way Alley would dispute that), but with higher resolution in Greenland. There are regions where snow melt and sublimation are low so that snow accumulation has been continuous, in some areas for as much as several hundred thousand years– and it is true Greenland is effected moreso by meltzones than Vostok. The most fundamental problems there are changing accumulation rates and source conditions, dating uncertanties creates errors of thousands of years deeper in the core, and age of enclosing ice being older. Comparisons of, say, the 10 Be spike at 35kya between Byrd, Dome C, Camp Century, Greenland..changes in atmsopheric gas compositions and other events (volcanic eruptions) suggest that there are no fundamental issues in the continuity and dating of the records. Having talked to Alley on occasion myself, he pushes ice core data pretty hard, and he is also concerned about the modern global climate change, so I wouldn’t be so hard to use him as evidence against my post. You also don’t need ice cores to tell you the radiative effects of CO2 and that ice melts when temperatures go up, just that changes in greenhouse gases have certainly played a role in glacial-interglacial transitions, and this is well reflected in the ice core record. Chris, are there any cores from any areas that are longterm inhospitable to life? Bottom of the Black Sea, perhaps, or some of the areas (Red Sea?) with deep pools of brine, or anything like that?